TULSA, OK, USA [January 28, 2014] – StatSoft announced today that Telenor Digital has selected STATISTICA Decisioning Platform® for its global risk analysis solution. Driven by its mission to bring modern communication infrastructures to customers worldwide, Telenor Digital has embarked on a new goal to provide flexible credit instruments and opportunities to heretofore under-banked customers. For this purpose, Telenor Digital evaluated leading analytic software platforms available on the market to supply the critical capabilities for modeling, model management, model deployment, and compliance reporting. Important requirements included the analytics platform’s ability to accommodate diverse regulatory and physical constraints of deployment, great flexibility with respect to interoperability with other systems, and easy deployment to virtual and cloud environments. After a careful review, Telenor chose StatSoft’s STATISTICA Decisioning Platform to meet these challenges, while providing a proven and robust solution capable of supporting a dynamically growing enterprise. The initial installation of STATISTICA Decisioning Platform was completed at the end of 2013. Telenor Group is an international provider of tele, data and media communication services. Telenor Group has mobile operations in 12 markets in the Nordic region, Central and Eastern Europe, and in Asia, as well as a voting stake of 42.95 percent (economic stake 33 percent) in VimpelCom Ltd., operating in 17 markets. Headquartered in Norway, Telenor Group is one of the world’s major mobile operators with more than 160 million mobile subscriptions in its consolidated operations per Q2 2013, revenues in 2012 of NOK 102 billion, and a workforce of nearly 34,000. ABOUT STATISTICA AND STATSOFT, INC.
StatSoft, Inc., was founded in 1984 and is now one of the world’s largest providers of analytics software, with 30 offices around the globe and more than one million users of its STATISTICA software. StatSoft’s solutions enjoy an extremely high level of user satisfaction across industries, as demonstrated in the unprecedented record of top ratings in practically all published reviews and large, independent surveys of analytics users worldwide. With its comprehensive suite of STATISTICA solutions for a wide variety of industries, StatSoft is a trusted partner of the world’s largest organizations and businesses (including most of the Fortune 500 companies), providing mission-critical applications that help them increase productivity, control risk, reduce waste, streamline operations, achieve regulatory compliance, and protect the environment. With STATISTICA Enterprise Server portal tools, you can post up-to-date reports, charts, and tables on the Internet automatically, virtually in real-time, and without knowledge of HTML or Java programming languages. Knowledge Portal – is a powerful, Web-based, knowledge-sharing tool that allows your colleagues, employees, and/or customers (with appropriate permissions) to log in and quickly and efficiently get access to the information they need, by reviewing predefined reports. Interactive Knowledge Portal – offers to the portal visitors all the functionality of the Knowledge Portal and additional options. These options include allowing the user to define and request new reports, run queries and custom analyses, drill down and up, slice/dice data, and gain insight from all resources that are made available to them by the portal designers or administrators. In addition, the STATISTICA Enterprise Server Knowledge Portal can be integrated with the optional STATISTICA Document Management System. The market-basket problem assumes that there are a large number of products that can be purchased by the customer, either in a single transaction, or over time in a sequence of transactions. Such products can be goods displayed in a supermarket, spanning a wide range of items from groceries to electrical appliances, or they can be insurance packages which customers might be willing to purchase, etc. Customers fill their basket with only a fraction of what is on display or on offer. Association rules can be extracted from a database of transactions, to determine which products are frequently purchased together. For example, one might find that purchases of flashlights also typically coincide with purchases of batteries in the same basket. Likewise, when transactions are time-stamped, allowing the analysts to track purchases. Sequence analysis is concerned with a subsequent purchase of a product or products given a previous buy. For instance, buying an extended warranty is more likely to follow (in that specific sequential order) the purchase of a TV or other electric appliances. Sequence rules, however, are not always that obvious and sequence analysis helps you to extract such rules no matter how hidden they may be in your market-basket data. There is a wide range of applications for sequence analysis in many areas of industry and since including customer shopping patterns, phone call patterns, the fluctuation of the stock market, DNA sequence and web-log streams. Once extracted, rules about associations or the sequences of items as they occur in a transaction database can be extremely useful for numerous applications. Obviously, in retailing or marketing, knowledge of purchase “patterns” can help with the direct marketing of special offers to the “right” or “ready” customers (i.e., those that, according to the rules, are most likely to purchase some specific items given their observed past consumption patterns). It is easy to see how the “transactions” or “market-basket” metaphor can be applied to situations where individuals engage in certain actions, open accounts, contact other specific individuals, and so on. Applying the technologies described here to such databases may quickly extract patterns and associations between individuals and actions, and hence, reveal the patterns and structure in datasets. We guarantee that STATISTICA is, by far, the easiest to use and the most intuitive statistics package available on the market. Many companies claim that their products are easy to use. However, very few can really prove it… Below is a sample of feedback notes and customer quotes recently received from STATISTICA users. Only a sample of comments which included a signed permission to quote, are listed. STATISTICA beats them all out of the water …. and I have used all kinds of statistical software ……EXTREMELY POWERFUL that pushes all others away, once you get into the others and see how “clunky” they are …. [STATISTICA is a] very important business information system solution. This will make a significant impact in our ability to enable and drive the continual improvement of our process performance and product quality. I am in the favourable position that I have other software available…But having used these other packages I still prefer to use Statistica as my main data analysis tool. Still spending a large proportion of my day working with Statistica. It has served me really well over the last 11 years as full time statistical consultant. Over my 30 years in industry, I have used several statistical analysis software packages…I have not found another package that provides the technical support that you have provided to my team. I have been extremely happy with version 12’s overall performance and stability, even with very large data sets. Thanks for the help. The reason I like STATISTICA so much is the help you can get. Stats are just stats but you all have always been fun to work with and a lot of help. As an engineer, I have been using STATISTICA for over 15 years and it has provided me with a wide range of analytical capabilities, from simple regression to multivariate analysis. In one instance, I was able to model industrial aluminum alloys heat treating and reduce the furnace cycle time by 54%, saving energy and increasing productivity. Throughout my career in the aluminum industry, STATISTIC has enabled me to translate complicated principles into visual representation. It has also provided me with insights into product and process improvements. STATISTICA provides a powerful tool…for our QbD approaches and associated cGMP practices. In our opinion STATISTICA is the best software for scientists that are looking for statistical analysis as an essential part of their research…The strong points of STATISTICA are clearly the graphics, vast range of ready to use analysis tab and ease of use. We found STATISTICA a powerful tool for our needs within our clinical research activities. We chose STATISTICA to perform the critical statistical analysis as it provides a simplistic user interface, high quality graphics and [is] easy to use. STATISTICA is a reliable software for research data analysis that allows for a wide range of statistical approaches and methods…It’s particularly powerful for very large databases. It provides a friendly user interface ready to use for [inexperienced] researchers…and students. I used STATISTICA for my doctoral dissertation because it was one of the best Time Series analyses programs on the market. I had looked at R, S Plus, SPSS, and Minitab and SAS. JMP is a real contender, but I feel it is not as easy to capture and paste screens in JMP. I spent the last two days demonstrating how to use the software to analyze auto correlated data. This product is superior in this analysis. I am a quantitative methods trainer in my organization and found your website very useful. Information provided is very comprehensive as well as presented in a simplistic manner. Congratulations for great work!!! In my opinion STATISTICA is the best software for scientists that are looking for analysis as an essential part of their results and not only an inferential statistical test. And StatSoft’s technical support team is outstanding. Their knowledge of the software is impeccable and they truly follow through on their commitment to assist the customer’s request from the beginning to the end. The EASE with which graphics can be generated is the main reason I prefer STATISTICA over SAS. Strong Points: Graphics, EASE OF USE, good examples. Rating: Excellent. Strong Points: EASE OF USE WITHOUT MANUAL. I have been a STATISTICA user since it first came out in DOS. I have always marveled at the elegance of the program and the dynamics that it provides. If you could equate STATISTICA with art it was a symphony. Now, however, from the din of all statistical programs comes a solo from what I could say rivals a Stradivari. You have set a new standard in sheer power, ease and, most importantly, elegance. A class act and no mistake. Excellent Graphics, “look and feel”, functionality – excellent workbook implementation – marvelous customizability – solid programming interface for custom solutions and output, etc. This is really great analytical software…so powerful – especially with the VB language that most things can be programmed if not already present! Reports, Graphs and ease of graph personalization; stat presentation – for reports; much better data import not having to switch modules!! The strong points of STATISTICA are clearly the graphics and ease of use. Provides a simplistic user interface without sacrificing functionality. A truly well structured and comprehensive statistics package. STATISTICA modules are excellent analysis tools; administration and wizards are easy to use. Comprehensive, covering all kinds of statistical analysis needed by our group working on sensory evaluation of food products. Excellent. Handles large ANOVA/MANOVA designs easily. Excellent. Easy to use, powerful, user-friendly. Excellent documentation. Graphics, Analysis options, & interface are all excellent. The programming capability is truly the one feature which makes this application the best of all statistical analyses packages. SPSS now looks slightly “quaint” compared to STATISTICA– even my students can see the difference between old fashioned software like SPSS & the new generation software like STATISTICA! The quality of graphics is unsurpassed. All procedures have many options and are very complete and “in-depth.” The speed of the system, even on huge data sets, is amazing. The workbook feature is outstanding. I certainly choose this program for most types of clinical research I do, based on ease on use, comprehensive features, and the really terrific, tasteful, publication-quality graphics. Friendly interface. Graphics. Large spectrum of statistical analysis. Program-wide range of statistical options. Documentation very good. Clear examples. Now much neater ways of keeping results and ordering them. I like the spreadsheet style of results. Einstein was wrong, something is faster than the speed of light — it’s STATISTICA! Graphics that will make any report shine. Very similar to the old version (5.0) so it was easy to upgrade or convert to the old program. Since 1987 I have used STATISTICA. From the early DOS version to the current version 6, I have always believed STATISTICA to be best available tool, on the market, for the professional or academic statistician, analyst, forecaster or researcher. Version 6 is the most impressive yet. The market will not be able to compete and beat this. (…) I have not yet experienced any version 6 weakness. Rich in features and data manipulation and portability between analyses. By far the best of all the statistics packages I have used. Documentation is full and excellent, graphing capabilities excellent, user interface intuitively easy to understand and helpful in avoiding errors. Accurate, appropriate, complete, fast. I have complete faith in mathematical/computational correctness and appropriateness for statistical procedures – exactly what I need for my data analyses. Very good documentation on statistics that is a good help for users who have a good knowledge and a good teacher who doesn’t know well what to do with those statistical tools. I know of no other software with so many quality capabilities in a single package. Looks fabulous! – A great set of new features. As usual, the DEPTH and ACCURACY of STATISTICA blows away any competition. It is nice to see a company that actually focuses on developing the BEST statistical analysis software, and not get distracted into other areas of business. Workbooks for combining analysis with data is excellent. Use of COM architecture is potentially the most useful feature of the system. Excellent all around and easy to use. (Strong points:) Graphics and easy to use. Speed; comprehensiveness; graphics are incredible tools for analysis. Workbooks are very good for project management; more user friendly! ; electronic manual is a real asset; Six Sigma will assist me in my black belt projects; better format as opposed to previous versions; graphs!!! ; much better than Minitab! User friendly, works quickly, rich of the possibilities for user. Incredible spectrum analysis abilities. To get the same abilities with other software, I’d have to pay much more. Greatest program going! All the stats you could ever need!! I’ve used it for 3 yrs-& love it! Powerful, flexible, nice selection of stats and graphics ability. Outstanding Manual. Great way to learn stats with real world examples. Have used it for 6 years and love it. Comprehensive package. Excellent graphics. Well organized. Simply the best statistical software package. Plenty of features, accurate statistics and very good graph control. I really like this program. Export of the graphs is really improved; compatibility with Windows environment; capability to carry out various analyses; weak points not yet found. Great integration of statistics and graphics; overcomes the awkwardness of the old Stat Graphics; the great variety of statistical procedures and the relative ease of executing them. Easy to use, clear help with animated overviews and examples. Central Food Technological Research Inst. This program will save me an incredible amount of time in conducting surveys and the subsequent analyses. Many options, easy installation, extensive documentation. ide range of features, good graphics, Module system – economic use of RAM, excellent electronic manual. Seems like a very powerful stats program quite a bit better than Origin, easier than IDL. I have found the graphics in STATISTICA to be the most easily converted for publication and presentation slides of any of the packages I have used (including SAS and SYSTAT). Has the statistical techniques I need. Easy to use. Good graphics. Best online help facility ever. Excellent. Beats the pants off other stats programs. Excellent speed; beautiful graphics. Excellent. By far the most intuitive and user-friendly statistics program. The manual itself ranks with the best statistics texts as advanced source book. Excellent. User-friendly. Comprehensive array of statistics. Excellent graphics. Can’t imagine using another stat program! Excellent. An absolutely wonderful program from every perspective. The Scrollsheet feature is the epitome of efficiency. Wadsworth Center for Lab. and Res. Excellent. STATISTICA is the most user-friendly and high-performance statistical software package on the market. Excellent. StatSoft has not searched for excellence, in STATISTICA/w it has surpassed excellence. Excellent. Full scale graphics program. Excellent documentation. Excellent. Graphics layout is A++ every day. Excellent. Very logical organization + interface. Wonderful graphics. SPSS and SAS – eat your heart out! Excellent. Outstanding, professional product. Very easy to use and interpret data. Almost too many graphics possibilities to choose from. You are the leader in analytical graphics software. Excellent. This is a beautiful package — I look forward to using it more. My congratulations to your designers — this is orders of magnitude ahead of competition! Excellent. Easy to use. Excellent MANOVA module. Excellent. This statistics package will definitely replace the SPSS used in this laboratory for 7 years. Excellent. Complete control over output; DDE and OLE support; toolbars. Excellent. Congratulations! An absolutely excellent program. I am very impressed. Very easy to use and powerful. Excellent. This is an incredibly comprehensive statistical package that greatly benefits from the user-friendliness of Windows. Excellent. It’s an amazing program: easy to use, complete, and sophisticated. Excellent. Very complete. I have not found any weak points so far. Excellent. It is VERY easy to learn to use, even without the manuals. Excellent. The on-line manual [electronic manual] is excellent. Excellent. Easy and simple to use. Excellent. Excellent. STATISTICA does everything anyone could want. Excellent. Incredible technical coverage. I can discard 5 years of statistical software for this package. Have not found any missing features yet. Excellent. Long Live StatSoft! The company is both responsible and responsive to its users. Their product is of high quality and user-friendly. Excellent. Easy to use with little need to refer to manual. Excellent. All features are excellent. The manual is excellent. Excellent. Fast, flexible (usually), very informative manual. Excellent. Easy to use and sophisticated as well. Requires minimal user input to get fancy results; especially ease of graphing. Great multiple-window capability! Excellent. Graphical User Interface looks terrific. Excellent. Strong points: I can only quote your brochure. Excellent. Really performing! Very good customer service and maintenance. Excellent. Speed!!! Right-mouse button integration. I am amazed at how easy a program can be to use! Fast! Excellent menu of graphs. Very user-friendly interface. Excellent manual. Excellent. Great graphics, speed, integration. Excellent. Compatible with Windows: if you know Windows it’s easy to use. Excellent. Relatively easy to use menu interface. Good help scr. [electronic manual]. Speed is great! Excellent. Great new Windows interface! Excellent. Strong points: Intuitiveness, quickness of the user-interface, ease of use. Weak points: None. Excellent. FANTASTIC. Advisor and other help and explanation (electronic manual) are great! Excellent. Incredible graphics. So easy to use. I LOVE it! We at StatSoft are very grateful to all users of our programs who took time to provide us with their feedback! To optimize operational efficiency and profitability in any industry, accurate demand forecasting is crucial. Businesses need a clear picture to be able to satisfy consumer demand. In the short term, overestimated demand leaves the supplier with a surplus that can be a financial drain; underestimated demand means missed sales opportunities. In the longer term, strategic investments for growth require a comprehensive assessment of critical markets, the impact of key external events, and the potential effectiveness of marketing campaigns. In short, maximum effectiveness and profitability require a good system of forecasting that is always evolving. STATISTICA offers such a solution for demand forecasting. STATISTICA Enterprise and Data Miner offer a platform for developing forecast models, finding key factors that impact demand, and—most importantly—for maintaining these forecast models with automatic updates. The platform can handle hundreds or thousands of individual items or SKUs, and will intelligently consolidate forecasts at different levels of aggregation. Predict Demand Based on Your Business Data: Forecast modeling tools make it possible for you to better estimate demand, allowing for nimble changes in production, staffing, or general resource allocation. Keep Forecast Models Current, Automatically: Forecast models need updated frequently to stay current. STATISTICA Enterprise automates the analysis to update the set of forecast models across the entire operation: multiple product lines, locations, SKUs, etc. Apply Robust Prediction Algorithms. The STATISTICA Enterprise solution goes beyond standard time-series methods to apply robust general forecasting algorithms that identify repeatable patterns and trends, and the drivers behind them. Stay Aware with Automated Reporting and Tracking: Reports are generated automatically and sent to the appropriate personnel for review. Alerts notify of changes in demand that need addressed. Find Influential Factors: Isolate variables that spark shifts in demand, and use that information to react quickly as well as stimulate demand increases when possible. Understand and Communicate with Precision: Built-in descriptive statistics and visualization capabilities make analytics and reporting simple. Optimize Processes: Dig deeper to find root causes, and enable whole process understanding that was previously not possible. 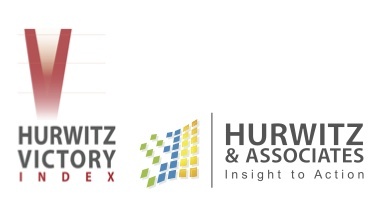 Hurwitz & Associates, a market research and analyst firm, will publish its Advanced Analytics Victory Index in 2014. In order to best guide those who are evaluating vendors, Hurwitz is surveying current users to provide feedback that will be factored into the index. The survey contains only a handful of questions and takes but a minute or two to complete. In exchange, Hurwitz promises to send a summary of survey results to each participant. Please take this survey yourself and share the link with others. We certainly would like Hurwitz to have a thorough and robust volume of user feedback as they develop their upcoming Advanced Analytics Victory Index. A comprehensive selection of sample datasets for complex and demanding numerical problems (and some unusual datasets) recommended to us by leading experts in the respective areas of statistics¹ and/or published in statistics textbooks and special monographs, including representative samples of computational problems from the “Analysis of Messy Data”, by Milliken and Johnson (1984), and “Applied Linear Statistical Models”, by Neter, Wasserman, and Kutner (1985), as well as books by Box et al., Cox, Lindman, Searle, and other authors. The accuracy criterion for all benchmarks presented below are either the respective published sources or, where applicable, the internal consistency of the results. To the best of our knowledge, STATISTICA is the only statistics package available on the market which has successfully passed every test included in this set of benchmarks (and some tests reported here cannot be passed by any program other than STATISTICA). * We are grateful to Dr. Lynn Brecht (UCLA), Dr. John Castellan (Indiana University), Dr. Elazar Pedhazur (New York University), Dr. Dallas Johnson (Kansas State University), Dr. Geoffrey Keppel (University of California, Berkeley), Dr. Michael Kutner (Emory University), Dr. George Milliken (Kansas State University), Dr. Paul Switzer (Stanford University), Dr. William Wasserman (Syracuse University), Dr. Thomas Wickens (UCLA), and Dr. Arthur Woodward (UCLA) for their advice, and for recommending to us some of the datasets used in these validation benchmarks, and to Drs. A. Woodward and L. Brecht for allowing us to use datasets from the technical documentation for Ganova. We are also grateful to all those researchers and practitioners who generously provided us with their raw datasets and allowed us to use them in the validation benchmarks. We would appreciate readers’ suggestions concerning any additional benchmarks which could be included in this set. Welcome to STATISTICA, where every analysis you will ever need is at your fingertips. Used around the world and supported by 30 offices worldwide, StatSoft’s STATISTICA line of software has gained unprecedented recognition by users and reviewers. In addition to both basic and advanced statistics, STATISTICA products offer specialized tools for analyzing neural networks, determining sample size, designing experiments, creating real-time quality control charts, reporting via the Web, and much more . . . the possibilities are endless. In this demonstration, see the benefits of convenient multi-tasking functionality in STATISTICA. Run multiple copies of STATISTICA at the same time, run multiple analyses of the same or different kinds, run analyses on the same or different data files, or do all three. STATISTICA Projects provide the means to save your work and return to it later. A project is a “snapshot” of STATISTICA at the time it was saved: input data, results including graphs, spreadsheets, workbooks and reports, and data miner workspaces. This tutorial explains how projects are used. With the Variable Bundles Manager, you can easily create bundles of variables in order to organize large sets of variables and to facilitate the repeated selection of the same set of variables. By creating bundles, you can quickly and easily locate a subset of data in a large data file. With STATISTICA, you can generate output for each unique level of a By variable or unique combination of multiple By variables at the individual results level. This makes it very easy to compare results of an analysis across different groups. In this demonstration, see the extremely flexible facilities for case selection provided in STATISTICA. You can specify cases in two different ways, either temporarily, only for the duration of a single analysis, or more permanently for all subsequent analyses using the current spreadsheet. Data Cleaning is an important first step in Data Mining and general analysis projects. This tutorial illustrates several of the data cleaning tools of STATISTICA. Variables in STATISTICA Spreadsheets can be defined by formulas that support a wide selection of mathematical, logical, and statistical functions. Furthermore, STATISTICA provides the option to automatically or manually recalculate all spreadsheet functions as the data change. In this demonstration, see how STATISTICA’s “type ahead” feature recognizes functions and prompts for the necessary parameters. What is your preference for showing the results of your analyses? See how the various output options in STATISTICA let you work the way you want. View your results in individual windows, store output in a convenient workbook, or annotate results in a presentation-quality report. The Output Manager gives you complete control and remembers your preferences. STATISTICA is fully integrated with Microsoft Office products. This demonstration shows how to output STATISTICA results to Microsoft Word and open a Microsoft Excel document in STATISTICA. STATISTICA multi-item display enables you to quickly view and edit all documents within a workbook. This video demonstrates how to view multi-item displays, print and save multi-item displays as PDF files, and customize STATISTICA documents within the multi-item display grid. With STATISTICA, you can easily create reports in Acrobat (PDF) format for all STATISTICA document types. This powerful feature enables you to share documents with colleagues who have a PDF Reader such as Adobe Acrobat Reader. This video demonstrates how to save and print all STATISTICA document types as PDF files. In addition to the specialized statistical graphs that are available through all results dialog boxes in STATISTICA, there are two general types of graphs in STATISTICA. In this demonstration, these two graph types are explored: Graphs of Input Data, which visualize or summarize raw values from input data spreadsheets, and Graphs of Block Data, which visualize arbitrarily selected blocks of values, regardless of their source. The dynamic features to automatically update graphs facilitate the visual exploration of data. STATISTICA Graphs are dynamically linked to the data. Thus, when the data change, the graphs automatically update. This video demonstration explores how this functionality can be used for data correction and how to glean important patterns visually from the data, as well as how to create custom graph templates. During exploratory analysis of very large data sets, it may be best to perform a variety of preliminary analyses using a subset of data. When all the data cases are equally important and a smaller but fully representative subset of the data is sufficient, it is beneficial to use STATISTICA’s options for creating new data files containing random subsets of data contained in the parent files. See how a random subset is created from a file containing 100,000 data cases. In this demonstration, see how microscrolls, a flexible interface with full mouse and keyboard support, aid interactive input of numerical values in STATISTICA. Microscrolls are available in every dialog with numerical input options, and greatly increase the speed and efficiency of the user interface. With STATISTICA, you can embed Active X controls into graphs. Active X controls provide the capability to create a custom user interface. This video demonstrates the use of a slider control and how it can be used to create a highly interactive graph. This demonstration shows how browser windows in STATISTICA are useful for viewing STATISTICA Enterprise Server reports, as well as viewing custom-made web interfaces that seamlessly interact with STATISTICA. The In-Place Database Processing (IDP) is an advanced database access technology developed at StatSoft to support high-performance, direct interface between external data sets residing on remote servers and the analytic functionality of STATISTICA products. The IDP technology has been developed to facilitate accessing data in large databases using a one-step process which does not necessitate creating local copies of the data set. IDP significantly increases the performance of STATISTICA; it is particularly well suited for large data mining and exploratory data analysis tasks. IDP technology also provides a security advantage in that data never leave the secure database (remain in the database at all times). The speed gains of the IDP technology – over accessing data in a traditional way – result not only from the fact that IDP allows STATISTICA to access data directly in databases and skip the otherwise necessary step of first importing the data and creating a local data file, but also from its “multitasking” (technically, asynchronous and distributed processing) architecture. Specifically, IDP uses the processing resources (multiple CPUs) of the database server computers to execute the query operations, extract the requested records of data and send them to the STATISTICA computer, while STATISTICA is simultaneously processing these records as they arrive. The IDP technology can be used with both desktop and enterprise versions of STATISTICA products and it is fully compatible with the Client-Server architecture of STATISTICA Enterprise Server (the requests can be made over the Web and data processed asynchronously by STATISTICA Enterprise Server computers connected to the (next-tier) database server computers which will execute the queries). IDP is also optimized to seamlessly integrate with STATISTICA Data Miner which supports multiple IDP data input channels. The IDP technology is implemented around a COM object which wraps an instance of a Microsoft Active Data Object (ADO) Recordset object and implements a subset of the Spreadsheet COM interface in the STATISTICA Object Library. This works because all STATISTICA Analyses access the source Spreadsheet data via the Spreadsheet interface. (Actually the InputSpreadsheet interface, which has a subset of the Spreadsheet interface methods. This InputSpreadsheet interface is normally hidden in the Object Browser but can be seen by right-clicking in Object Browser and selecting “Show Hidden Members”.) Therefore, to a STATISTICA Analysis, the IDP looks just like a Spreadsheet. Indeed, advanced users of STATISTICA could wrap an InputSpreadsheet interface around any data source at all, and perform STATISTICA Analyses on it programmatically via the STATISTICA Object Model. Behind the scenes, certain steps must be taken by the spreadsheet wrapper object to make Analyses work seamlessly. For instance, if an Analysis requires the number of cases in a Recordset before that information is known, then either a separate “count” query will be executed synchronously (i.e., the analysis must wait until the count query returns before continuing) and the result returned to the analysis, or some arbitrary upper bound on the case count will be returned immediately. This behavior is configurable on the IDP page of the STATISTICA options dialog. Also, if using a forward only cursor (see below) and the Analysis must make multiple passes through the data or access the data in random order, then any request for a previous case (row) forces the IDP to requery the database and advance the cursor forward to the requested case, since the cursor may not be scrolled backwards. The Analysis would simply wait until this process is completed and the requested data were provided to it. DBTable provides programmatic access to the IDP Document, much as the Macro, Graph, and Spreadsheet interfaces provide access to STATISTICA Macros, Graphs, and Spreadsheets. In addition to the standard document methods and properties (Visible, Activate, Close, etc) it provides access to all IDP specific options (cursor type, location, query string, etc.) Its read-only property “Spreadsheet” returns the Spreadsheet wrapper around the ADO Recordset. The second interface is DBSpreadsheet. This interface is used internally by the IDP to create the Spreadsheet wrapper object, and could also by used by users writing their own macros or programs, although in most cases the DBTable interface is sufficient and will itself use a DBSpreadsheet object. This interface has two methods, Open and CreateNew. Open executes the supplied query and opens an ADO Recordset. It creates a Spreadsheet wrapper object and attaches the ADO Recordset to it, and returns this Spreadsheet object. CreateNew creates a Spreadsheet wrapper object which is not attached to any Recordset and therefore is not useable until you call its “SetRecordset” method to attach an ADO Recordset object of your own creation.